It has been an incredibly busy last couple months. With two shows brewing for this September I have been working tirelessly to create new work for Sugarhouse Gallery and the Utah Arts Festival Gallery. Once I took a step back and looked at all the new work as a whole I have finally made decisions about what pieces will go where. This is a very large space with beautiful filtered natural light. The large walls lend themselves perfectly to a figurative show. For Sugarhouse Gallery I will have portraits that have never been shown, one or two most popular pieces that have yet to find a home and two 36”x66” canvases with figures completed in the last few weeks using my new painting style I’ve been experimenting with. Two of the portraits have been featured in Linus Gallery, Pasadena CA. 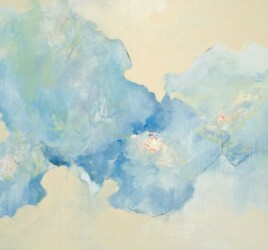 I will also be incorporating a few of the smaller abstract florals. Opening September 13th from 6-9 pm, second reception October 11th from 6-9 pm. This is a super urban space inside of Art Space, City Center. Because of its downtown location, heavy Gallery Stroll traffic and the fact that I will have a solo show parallel to another group show, I want to hang work that has been featured in the Studio Visit Magazine and International Contemporary Artists biennial hardcover book as well as new work. This show, “Decay Theory” will display the botanical inspired abstract paintings that invoked the psychological theory of temporal decline. All the work will be available for purchase.